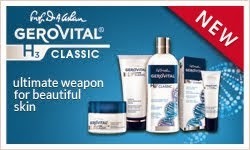 Original Gerovital products are made only in Romania. Gerovital Plant Line: New formula, preservatives free! 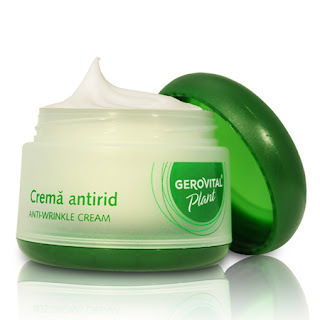 Gerovital Plant line is based on natural active principles that ensure good tolerance and compatibility with the skin. It is addressing to women aged 20 to 45 years old. A valuable ingredient of this range is the Organic (BIO) Edelweiss Extract, an excellent cosmetic compound. It transfers to skin qualities like resistance to UV radiations, to low atmospheric pressure, extreme humidity and temperatures. Has anti-ageing and antioxidant effect upon skin, offers protection against UV radiations, regeneration for stressed, sensitive and wrinkled skin. The plants used to obtain the edelweiss extract do not come from the spontaneous flora (which is protected in Europe), but from organic cultures from the Swiss Alps, being ECOCERT certified for the biological production standards. The Herbatonic Complex enhance the benefic effects of the Organinc (BIO) Edelweiss Extract, providing the skin the necessary amount of remineralisation, an optimum level of moisturizing, toning and protection against harmful environmental factors. The Herbatonic Complex contains sugars, uronic acids, mucilages, flavonoids, triterpenic saponins, mineral salts, having a significant contribution in moisturizing, nourishing and remineralising the skin. Rose of Shanon - improves capillary circulation (toning effect), has antimicrobial and cicatrising properties. Mallow - has moisturizing and emolliating properties. Breckland Thyme - revitalises all skin’s functions; it is an excellent astringent, antiseptic and disinfectant. Avocado, jojoba vegetal oils, wheat and soy germs, beeswax and cocoa butter reestablish the skin’s hydrolipidic barrier, prevent premature ageing processes caused by free radicals, increase skin elasticity, suppleness and hydration level. Ceramidyl-Omega is a complete, active, vegetal ingredient, a unique mixture of essential fatty acids (Omega-3, Omega-6, Omega-9) and pure glucoceramides. Reduces wrinkles, improves the skin’s moisture level, elasticity and comfort. Aquaxyl is an exceptional moisturizing ingredient, preservative-free, allergen-free and genetically modified organisms free. Vitamins A and E improve skin elasticity and prevent cutaneous ageing processes. FACE SERUMS: WHAT? WHY? HOW? Born in Braila, Romania in 1896, Prof. Dr. Ana Aslan dedicated her life to the study of of human longevity. Doctor Ana Aslan is the founding figure of geriatrics and gerontology in Romania. Professor Aslan and her team of enthusiastic researchers, including pharmacist Elena Polovrageanu, conducted numerous clinical and experimental studies for 10 years, between 1946 and 1956. Their fantastic work produced Gerovital. Ana Aslan died in 19th of May 1988 at the age of 91. Copyright © 2012 Gerovital H3 Romania. All rights reserved.